The U.S. Department of Justice confirmed that the Army will not issue permits for the crossing under Lake Oahe, a half-mile from the Standing Rock Sioux Reservation and the source of its drinking water, until it has reviewed the issues raised by the tribe, according to a report on KFYR-TV. The U.S. Department of Justice has reiterated that the Army will not issue a permit for the Dakota Access pipeline to cross Lake Oahe while they examine the issues raised by the Standing Rock Sioux Tribe. 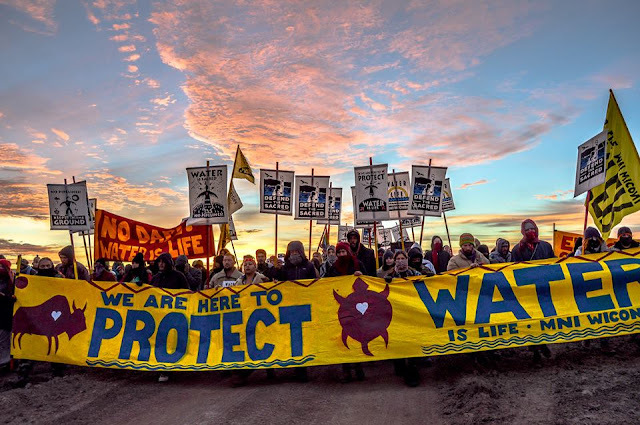 “While the Army continues to review issues raised by the Standing Rock Sioux Tribe and other tribal nations and their members, it will not authorize constructing the Dakota Access Pipeline on Corps land bordering or under Lake Oahe. In the interim, the departments of the Army, Interior, and Justice have reiterated our request that the pipeline company voluntarily pause all construction activity within 20 miles east or west of Lake Oahe,” said Justice Department spokesman Wyn Hornbuckle in an email Tuesday. “The Justice Department is taking the situation in North Dakota seriously, and has been in communications with state and local law enforcement officials, as well as tribal representatives and protesters, to facilitate communication, defuse tensions, support peaceful protests, and maintain public safety,” Hornbuckle said. This came in a response to a letter sent by Standing Rock Tribal Chairman Dave Archambault to U.S. Attorney General Loretta Lynch this morning. Responses to "Justice Dept Reaffirms It Will Not Grant DAPL River-Crossing Permits Anytime Soon"